Milk is essentially an emulsion of fat and protein in water, along with dissolved sugar, minerals (including calcium and phosphorus), and vitamins, particularly vitamin B complex. Commercially processed cow's milk is commonly enriched with vitamins A and D. Many countries require pasteurization to protect against naturally occurring and artificially introduced microorganisms. Cooling further prevents spoilage (souring and curdling). Fat from whole milk (about 3.5% fat) can be removed in a separator to produce cream and leave low-fat milk (1–2% fat) or skim milk (0.5% fat). 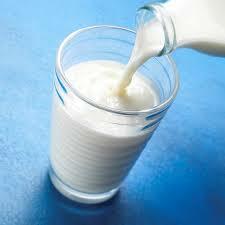 Milk is usually homogenized, forced under high pressure through small openings to distribute the fat evenly. It may also be condensed, evaporated, or dehydrated for preservation and ease of transport.